It doesn’t matter if you’re an avid auto enthusiast or just a regular car owner. You would definitely want your car to look its best all the time. Car detailing services can help ensure that your vehicle condition remains to be in tip-top shape. From restoration to maintenance, professional auto detailing has you covered. Their services include giving your car’s physical appearance a gloss so much like a deep, reflective mirror. They can also keep your interior super clean and comfortable so you’re at ease when out driving. Also, some of the shops provide rustproofing services to guard against corrosion too. Detailers will help you get the package that’s most needed for your ride. But if you want to try doing it yourself, you can do so as well! With the many car accessories and tools you’ll be using, you’ll definitely need to discover the best car wax, car drying towel, and many more! Btw, more awesome topics about different car accessories are coming soon! Don’t forget to regularly check the Car Accessories homepage and this page for more updates! We have laid out an entire facts buffet just for you. You’ll be learning new car-related topics in no time. Discover the best car detailing products, services, and shops now! If you’re not keen on going to the local car detailing shop and want to do the maintenance yourself or you want to put up your own car detailing business, knowing some of the best tools will help give you the ultimate detail every vehicle needs. You’re not only dealing with paint protection for your auto services but an all-around deep clean that will include even the smallest nook and cranny inside as well. If you succeed, it’s a guarantee that your ride’s car detailing before and after shot will be magnificently different. But first, you should know the basics. What is car detailing services? What is the difference between a car wash and an auto detail? How much does a car detail cost? Put it simply, getting your car detailed means a thorough cleaning of your vehicle interior and exterior using specialized tools and products. This service is widely available on auto detail shop or at a car wash. Normally, a detailer will also perform some light cosmetic touch-ups with polish and wax, but the process does not include paintwork or body repairs. Car detailing usually involves cleaning and reconditioning the interior and exterior of the car. The objective is to make your car clean and shine again like new. Car detailing and maintenance isn’t just about paint and scratch removal, although washing, polishing, and waxing are equally important steps. Vacuuming and conditioning the consoles and seats inside your car is part of the whole process. So is odor removal to remove the smell of food (and cigarette smoke). Aside from cost different usually ranges from $10 to $40, a typical car wash only covers a fraction of the cleaning that you can get from a detail. A wash likely includes an exterior wash, vacuum and wheel cleaning. As for auto detailing, you can also avail more special services like dent removal, windshield replacement or cleaning, engine detailing, car seat stain removal and many more. Put simply, a car wash tends to be a superficial cleanse while an auto detail is more thorough and restorative. Also, you’ll probably go for a car wash once a week and quarterly or half-yearly once for auto detailing. With all the benefits you get from automotive detailing, it comes as no surprise that this type of service is not just for cars. More specific services are also available for other modes of transportation. There’s RV detailing for your motorhomes and motorcycle detailing to keep your bikes looking amazing. You can also get boat detailing for your marine vehicles (and probably something for your airplanes as well). Read this article for the complete guide of car detailing services. 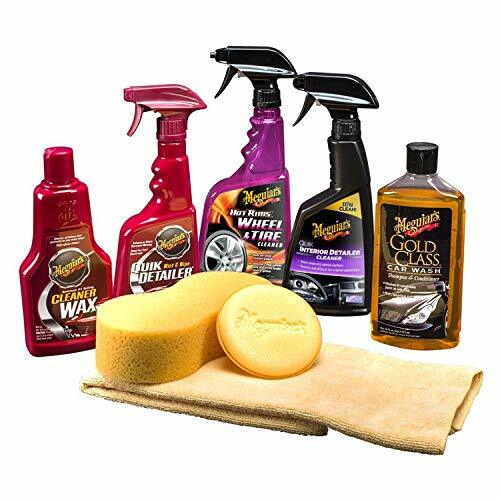 Now, let’s have a look at some of the BEST car detailing supplies. Whether you’re starting your own business or just want to try detailing on your own, you will need the best auto detailing products in the market if you want to succeed beautifully. Car detailing equipment not only includes waxes and polishes but a myriad of other things as well. From exterior to the condition of leather, there’s a ton to choose from. You can easily get confused, especially if you’re aiming for a complete detail project. But don’t worry. May it be the best exterior or the best interior car detailing products, there’s definitely something that’s right for you and your vehicle! This first product might not be a strict necessity when it comes to detailing projects, but it’s still a super helpful little gadget to have. 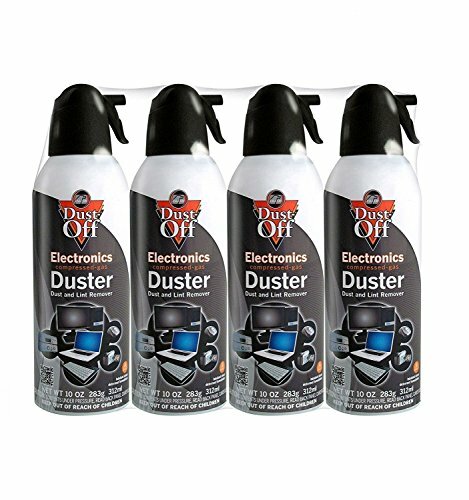 If you’re someone who likes to keep your car super clean at all times and gets easily irritated at the dust gathering on your dashboard and console, this is perfect for you! At approximately 6 inches, it’s a small and very portable duster that you can easily fit inside your glove compartment. Dust from anywhere you are, may it be at the grocery parking or even while waiting for the red light to change. Its innovative design allows it to seize dust from all sides so swipe or swirl it around, take your pick! It’s an excellent choice for cleaning out your car’s side pockets and cup holders because of its amazing multi-direction grasp. Even its handle was designed for comfortable handling. Don’t be dismayed by its small stature because it can definitely do big things! This duster is made up of microfiber material that’s sewn into a chenille. A chenille is soft, fuzzy fabric sewn into tight loops. Although usually sewn for beauty purposes, this chenille design allows you to get more dust. That’s why collectors and detailers love this duster for their interior! You can even use it to clean your wheels. Its size fits perfectly into the sleeves and you can remove brake dust with it. So, that’s a lot of benefits in one tiny accessory! Every auto-enthusiast in the world knows this brand, and for a good reason! Meguiar’s is a cult classic simply because they continue to give truly innovative and high-quality products to their customers. With this set, you will not only feel secure but are guaranteed that each product will provide you with highly satisfactory results. You can have your own full detail package in the comforts of your home since this kit has everything you need. Its shampoo not only washes but also conditions in one simple step. Plus, its amazing foam formula gently removes dirt and grime leaving your paint clean and sparkling. After wash, it’s time to do some waxing. The liquid wax in this set has gentle cleaning agents that will add another layer of shine to your paintwork. Just remember to apply it with the foam applicator and wipe it off with the microfiber towel. For an express detail job, the Quik Detailer will give you lightning fast results. Now you can protect your ‘just waxed’ look by simply spraying and wiping off the product. That’s such a hassle-free innovation! Even interior cleaning becomes a breeze with the Quick Interior Detailer on-hand. The inside of your car will look brand new and smell fresher in no time. It can clean the consoles, plastics, vinyl, rubber, and metals found inside and will remove dust, fingerprints, and so much more with no problem at all! Plus, you get a thorough clean because your tires will have their own special cleaner that will get rid of pesky and stubborn road residue! While it’s perfectly fine to polish and wax by hand, you can always use a speed polisher like this to make the buffing job easier. Whether it’s sanding or polishing, this machine will give you amazing results. It works in a random orbit allowing for a swirl-free finish which is highly ideal if you’re working on your vehicle’s beautiful finish. The last thing you want is swirl marks ruining all your hard work. This electronic machine can do 2,500 orbits per minute up to 6,800 orbits per minute so it’ll definitely give you better results than the typical hand polish job you can do. Not to mention, it’ll require less effort to use. It weighs at about five and a half pounds which is feels acceptably durable yet still light enough to operate with no problem at all. 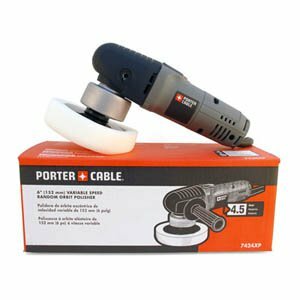 You can even position the handle differently so left-handed people rejoice because this is the polisher that will give you maximum comfort and control. It comes with a 6-inch wide polisher pad so make sure to remember that if you need to buy replacement pads. Plus, it has a 4.5 amp motor so you know it can handle your workload efficiently and easily. If you are planning to get a buffer polisher, don’t limit yourself to this model only. There are many other excellent brands that you can get your hand on. To help you out with the selection, we have written a detailed review guide for it. We have looked through hundreds of products and selected the best car buffer polishers, buffering pads and buffering compounds and list them out all in this detailed car buffer article. Check it out! Aside from the obvious reason that it’ll make the overall appearance of your car better, your ride’s glass parts play an important role in keeping you safe while driving. Having clean and clear glass components will increase your road visibility significantly and will allow you to practice better safety precautions when on the road. That’s why a glass cleaner is a super important product to have in your detailing arsenal. This product is the number one glass cleaner for automotive and boat detailing for a good reason. It gives first-rate results! Most products in the market are created with soaps, scents, and other additives that will create residue more often than not. Streaks and spots occur because of this. 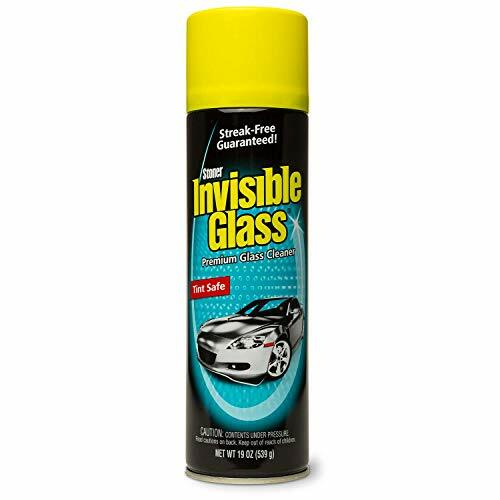 Unlike those brands, Invisible Glass is formulated specifically to dissolve the residue that comes from the interior, leaving your windshield and mirrors crystal clear. But not only that! It can also break down smoke haze, environmental debris, icky bird droppings, and road residue. Say no more to pollutants because Invisible Glass will get rid of that for you. Don’t worry if you have a window tint. It’s ammonia-free so it’s safe to use even if you’re already done with tinting your window. Just make sure not to use it on polycarbonate plastic as it doesn’t work for those. To get optimal results, remember to use a lint-free microfiber cloth. Paper towels and old newspapers will still leave streaking. 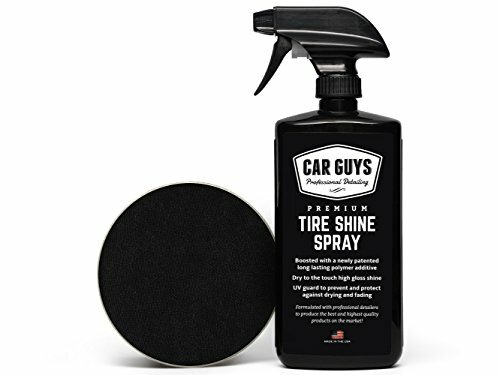 Another great product from an equally great brand is this tire spray from Car Guys. It may seem redundant to clean your wheels when you know they’ll get dirty once you start driving. But cleaning your tires often will prevent build up from happening. In turn, they will perform better for longer. This product is formulated with Nano polymer additive that increases its performance. So, you can get the amazing wet black shine that showroom cars have with the added benefit of a highly durable UV protectant shield. Plus, it comes in a handy spray variety so after a hard day’s work of cleaning, waxing, and drying other parts of your auto, you’re only left with a quick spritz on your tires. If you don’t like the wet black look that most award-winning cars have and prefer something subtler yet clean at the same time, don’t sweat it. As long as you use the microfiber applicator that comes with this product, you can choose the level of gloss you want your wheels to have. Isn’t that convenient? You can even use it for faded trims, rubber, vinyl, and plastics so that you can restore them to their former shining glory. Talk about multi-purpose! Interior detailing tools aren’t usually reviewed that much and what a shame. These types of tools are exceptionally helpful when you want to go all the way with your auto-project. This car vacuum is an excellent place to start when thinking of getting equipment to help you with cleaning the inside of your car. By using this vacuum to get rid of the mess, you’ll be guaranteed professional results. 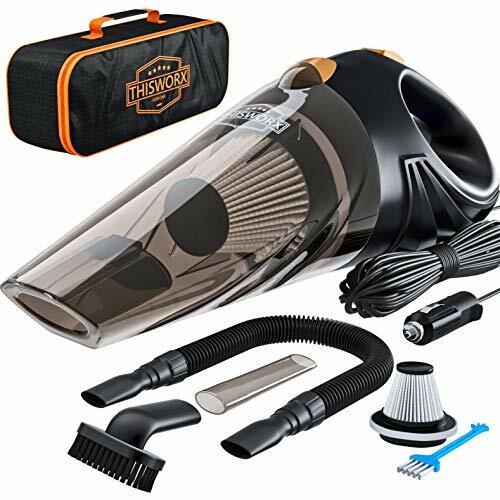 This vacuum actually works with a powerful 160w motor that allows it to have such a strong suction. Couple that with its sturdy metal turbine and no trash would be left behind. You will be able to reach all the nooks and crannies inside with a long 16 feet power cord. It’s hose and nozzle set also allows you to change nozzles depending on your current need. You can interchange smaller and larger nozzles any time you want. It’s highly innovative, as well. You can use it to clean up either wet or dry dirt, and cleaning it out is an easy task because of its transparent trash compartment. It even comes with its own bag that fits all the parts you need easily. Now, you can store it or bring it with you anywhere you go. It even has an additional HEPA filter so that’s one less thing to buy for a while! Cleaning leather seats can be hard. Most people would leave it to the professionals but if you want to try it out for yourself, that’s okay! There are tons of products on the market that can make the job a bit easier for you. The first thing you need to do is to wash your leather seats. Now, make sure that you use a washing product that’s appropriate for leather or you might ruin your seats accidentally. But washing is just one part of the overall job. There’s a chance that you’ll strip off the essential oils in your seats. Never fear, this deep conditioner will restore the much-needed oils. By applying this on your seats, you’re making it look classically beautiful while ensuring it of prolonged life. You can even use this on other leather items hanging around. It isn’t just specifically for automotive use! Handbags, sporting equipment, luggage, belts, and many more can benefit from the amazing conditioning job this product offers. It even has an odorless and non-greasy formula. How convenient! Just remember that it’s not designed for suede, glove, and napped leathers. While it’s fun to hand wash your car and you can definitely make do with regular car shampoo and a regular hose, it can be taxing to some people. If you’d rather do a quicker, more efficient way of car washing without having to exert as much effort, then a foam wash would be a good idea. 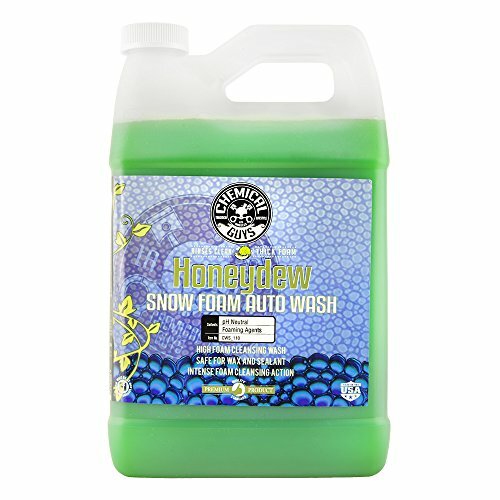 This honeydew foam wash soap from Chemical Guys can remove stubborn surface contaminants and pollutants like dust, dirt, and grime. With its pH-neutral formula, it can gently lift and get rid of pesky residue without damaging your paint. You can also use it on all types of surface finishes like rubber, vinyl, glass, and plastics so you don’t need to worry about harming your vehicle. With one full cap to five gallons of water ratio, this product will surely last you for a long time. This is great if you’re trying to save more money. Not only that, but it also has a soft and fresh honeydew smell that most car shampoos don’t have. 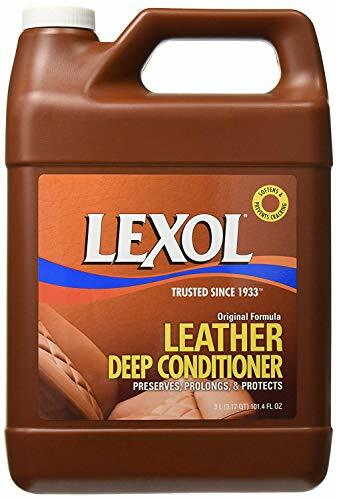 Just remember that this kind of shampoos needs to be used through a foam gun connected to a pressure washer. 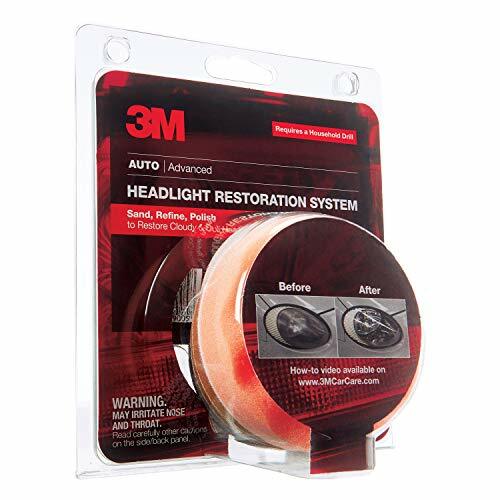 When it comes to adhesives, 3M is a well-known brand. So, there’s a high chance that if you get one of their products, it’ll work satisfactorily well. This masking tape is one of those products! Like the blue variety, this product is excellent for painting jobs. You can use it when redecorating inside and outside your home. 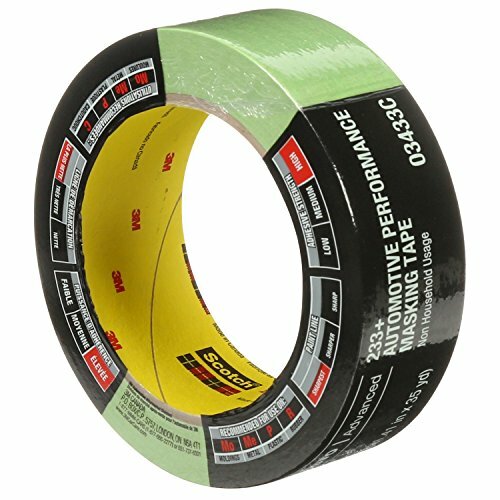 But unlike those common painter tapes, this one is created specifically for auto use. What makes it different? It boasts of a uniquely designed adhesive that can bond instantly with a lot of surface finishes. Since it can resist water and chemicals, it’s perfect for water-based and solvent-based auto paint. While it isn’t a necessary detailing tool, it can help make any paint job and repair job easier. It works greats when you’re restoring your headlights. Just stick around your headlights before doing anything, and you can stop worrying about painting outside the edges since you’re now well protected. It also features a special type of coating that allows it to unwind straight and without a fuss. You can now more accurately mask it around your auto parts because it wrinkles less, adding more control. Plus, it has a primer layer which makes removing it super simple and safe. The days of sweating about scraping your clear coat are over since this leaves no adhesive residue at all. Having a sparkling car is awesome but leaving your glass parts smudgy and dirty will lose you points. That’s why cleaning both exterior and interior windows are essential. Although it’s easy to do in theory, windows are tricky to clean since they’re very prone to streaking. Even a simple swipe or wipe mistake can cause this already! 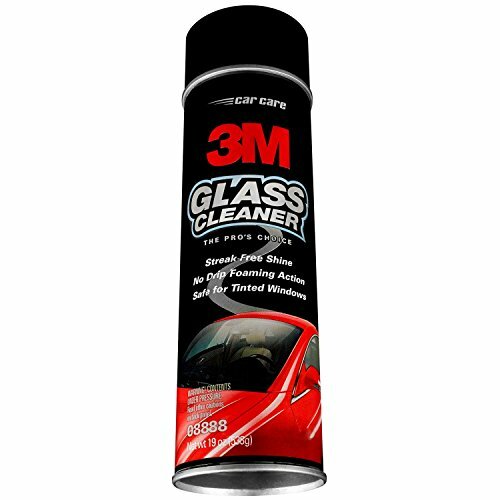 Good thing, 3M has designed a glass cleaner to help you out! It definitely redevelops your glass’s clarity and makes it sparkle like brand new. Being made with a highly specialized formula, it can even be applied vertically without streaking! That’s what makes it perfect for your ride’s windows and windshields. But it’s also amazing at clearing your side-view and rear-view mirrors. But that’s not all. It’s also gentle enough to use on plastic, chrome, and metal so you can keep other parts of your vehicle super shiny with just one convenient aerosol product! Not only does it bring back clarity, it’s also amazing at removing stubborn dirt and grime, like bug splatters and tree sap. What it does is it gently softens the imperfection so that you can easily wipe them away. Best of all, this glass cleaner can be used on either tinted or non-tinted windows so if you have multiple cars; this product will come in handy. Cars today are made with a lot of plastic components, more so than before. Since they’re highly durable and less dense than other materials, plastic is an excellent material to use. Unfortunately, it also tends yellow and haze as time passes, especially when exposed to sunlight and the changing weather. Headlight lens is made up of plastic. If your ride has hazy headlights, even with an award-winning showroom finish, its value will undoubtedly go down. But more alarmingly, unclear headlights will lower your visibility and that’s a safety hazard for you and the other people on the road. That’s why it’s important to repair your lens as soon as possible! 3M came up with a solution just for that with the introduction of their amazing system. In three super easy steps and in just an hour tops, you can get crystal clear headlights once more. You wouldn’t even need to spend a lot of money on new lenses! This system is created by 3M’s advanced abrasive technology that can sand away the haziness and dullness of your lights. These abrasive components are so fine that you wouldn’t need to worry about damaging your lenses. No scratches will be left! Since getting new headlights will cost exorbitantly, this product proves to be very economical. You can even use it on your fog lights, taillights, and directional lights so it’s even multi-purpose. When it comes to having your car detailed, you would want the full experience. But sometimes you already have a clean outside yet a dirty inside and vice versa. That’s why auto shops offer separate interior and exterior packages. If you want to complete outside job, getting an extensive exterior service would be needed. This includes the type of car wash you want. You can get the basic wash or a premium wash. Sometimes, detailers would even use pressure washers for easy cleaning. When washing your car, it’s important to remember to use specialized car shampoo or soap. Many people think that there’s no harm in using a dishwashing variety. Unfortunately, this isn’t true. Dishwashing soap contains abrasive material that can strip off your paint. Getting this type of service will also see your car getting an amazing polish and wax job so you’ll definitely go home with an awesomely sleek and glossy clean exterior after. With polishing, you can get rid of surface imperfections, from minor scratches to more stubborn grime. You can even ask for oxidation(rust) removal or get rid of the ugly effects of harmful UV rays. Aside from that, the waxing job would give your car another layer of defense from pollutants. It will also seal in your paint, leaving your car with a sparkling clarity that’s to die for. Another excellent service to get (through optional) is window tinting. Getting tinted will lessen the glare of the sun on your eyes while driving. At the same time, it will also be a durable shield that can minimize sun damage to your car’s interior. A clean interior is something most people take for granted. A simple case of removing your trash is not the most thorough cleaning your interior can get (and deserves!). Cleaning the inside of your car includes washing and conditioning your seats. The product to use varies depending on what type of material your upholstery is made of. Some common materials are leather, nylon, vinyl, and polyester. You can also have your carpets and trunk vacuumed to get rid of pesky, minuscule dirt and grime stuck in the small fabric fibers. Afterward, you will also need something to clean the dashboard and other small spaces. Some products boast to be multi-surface cleaners and there are a few that actually work so investing in one will help you save your money. It’s also a good idea to remember to clean the inside of your windows as well. Finger smudges and dust can gather there so wiping it clean with the help of a glass cleaner will get the job done. Another service to be considered but is separate from the usual interior detailing prices is engine detailing. The engine bay isn’t something most people think to get cleaned but it can prove beneficial to you in the long run. Having your engine cleaned and detailed can help you and mechanics discover any problems and fix it faster. Getting a detailing package is one thing. Knowing how to detail is another. If you’re someone who likes to try out new stuff, you will be needing additional tips and advice when it comes to detailing your own car (especially if you don’t want to ruin your beautiful auto body and paint!). It’s widely known advice to work inside your garage or under a cool shade when detailing your car. Professionals and enthusiasts alike will say that working under direct sunlight will negatively affect your auto’s paintwork. And it will. When working under the sun, you’re allowing the shampoo or soap to dry faster. This will be harder to remove or worse, will leave water spots and swirl marks on your paint. By working under a shade, you can avoid that. If there isn’t any shade to work under, the next best thing is to ensure that your surface remains wet by constantly spraying water all over it. Wiping your windows can be a frustrating task. Your auto’s clear coat may make it look shiny but the show car effect is ruined if there are smudges on your glass. To avoid that, try wiping the outside of your windows with a microfiber towel all in one direction. If you choose to wipe to the right, stick to that all throughout. When you’re wiping down your windows’ interior, do so going in the opposite direction. By doing that, you’ll be able to quickly spot if the smudge is on the outside and inside, and you can deal with it faster without causing any more blemishes on your glass. If you want professional looking results, waxing your car by using a buffer will make the job tremendously easier. Unfortunately, a common mistake that a lot of people do is using this machine to remove the wax as well. You wouldn’t want to do that. Applying wax with a machine will make the buffing less strenuous to do. But for removing, it’s better to use a soft, microfiber cloth. Doing so via machine can leave an uneven application and the dreaded swirl marks. Microfiber cloths, on the other hand, have lower friction so they’re less likely to leave ugly scratches and scrapes. 4. Clean your tires first! For many years now, the auto practice passed down from generation to generation is to clean your cars from top to bottom. While true, in a sense, that doesn’t include your wheels! It’s better to wash the mud, muck, and dirt from your tires first. By doing so, you will avoid any messy mishaps when you’re cleaning your body. Think of it this way, if you wash your body first and then clean your tires, any muddy water from your wheels can dirty your already pristine looking body. So, it’s more logical to avoid that. When your automobile doesn’t have that new car scent anymore, chances are it’ll get smelly really fast. Factor in the cycles of food you’ve eaten inside, the colognes of people who’ve ridden in, and heaven forbid, the farts you weren’t able to suppress, and it’s a recipe for sensory disaster. Plus, dust and dirt inside your air conditioning units will add another layer to that unwanted smell. The easy solution for that is to spray a can of compressed air duster inside your units to flush out the debris stuck inside. This is also a good hygiene practice as compressed air can even get rid of bacteria present in the units, so you’ll be left with a cleaner, fresher, and more breathable supply of air. You could also get more tips and tricks from this YouTube video collaboration by ChrisFix and Saabkyle04. And next, we have a quick look at no rinse car wash.
Every car owner, whether you’re an avid car enthusiast or not, knows how important car washing is. It’s the only way your car will ever be clean after all. But not many know of the no rinse car wash.
Waterless car wash products aren’t new, per se. They have been around for a while. Their purpose is to offer a neat solution to clean your vehicles without having to use gallons and gallons of water in the process. Sure, it’s not the most conventional way to go, but these types of products can give you very interesting benefits both automotive-wise and environment-wise. Having the best car wash and wax isn’t the only essential aspects of detailing after all. If you could use eco-friendly ways, why not make the most out of them? Read this article to learn more about the no-rinse car wash and why more and more auto enthusiasts are opting for this waterless car wash soap option. When it comes to auto detailing products, car wax would probably be the most well-known. Unfortunately, it is also one of the most confused about in the market. It doesn’t help that wax and polish are often interchanged when it comes to naming their products. To put it simply, both wax and polish have different functions. Yes, they are similar inasmuch as they help improve your car’s paintwork but that’s pretty much it. Car polish is used to remove the microscopic imperfections like scratches and surface contaminants that make your vehicle look dull and dirty. It’s made up of abrasives ranging from medium to ultra-fine. It comes in various forms like sprays, liquids, and pastes form. Car wax, on the other hand, is a type of paint sealant that creates an additional layer of protection to your painted surfaces, making it look sleek, shiny, and brand new. It also has other functions such as defense from water spots and oxidation. If you want to apply UV and hydro protection to your car, this is the product you’re looking for. If you’re looking for your preferred brand, get one formulated with carnauba. It’s a type of natural wax that’s very resilient, making it perfect for hotter weather. Carnauba wax is widely available now in the market so you won’t have any trouble looking for one. There are many types of waxes available, and some would work better for specific types of cars. Black cars would benefit more with a black car wax. The same goes for whites and reds. Of course, there are also brands that can cater to all colors and all types of finish. When using both wax and polish, remember to use clean microfiber towels to ensure a scratch-free result. Read this article to learn about the best car wax to use for auto detailing and more. The reason why many people do detailing in the first place is to give their ride the best car paint protection coating there is. Modern detailers will swear by car paint sealant. But others will still go with the more traditional favorite, carnauba wax. To me, it’s just a matter of preference. As sealant focus on giving you maximum protection whereas car wax gives you full gleam. Basically, car paint sealant is just an alternative to car wax. So now you have a choice! Of course, you only want the best car paint protection there is! A synthetic paint sealant is a great option that’s designed to give your vehicle a finish that will beautifully glaze in the sun while providing your exterior with a durable shield against surface contaminants. There are many auto paint sealant protectant products available in hardware stores and online that will give you effective results. Some of these brands are like the Wolfgang, Meguiars, and 3M, and they can be conveniently found on Amazon. But first, you should equip yourself with some knowledge about car sealant so that you can utilize this product to its fullness. Go here to find an in-depth article about car paint sealant that we have written. You can learn more about paint sealant vs. wax, product review and much more in that complete guide. Check it out! One of the most important tools when doing a detailing project is towels since a hand dry job is a more normal practice for detailers and owners alike. Drying isn’t just on the outside but also affects the interior of your car. For example, wiping down your dash console and leather seats. There are many kinds out there that choosing the best car drying towel can be a confusing task. While it is alright to use old bathroom towels to clean your auto, it’s much more recommended to use ones that are created specifically for car cleaning. Your car drying towel must be gentle enough to wipe down your ride without making scratches on your coat. It’s also a good idea to get one that doesn’t shed as much so lint wouldn’t get stuck when you wash windows. The two most popular choices are chamois and microfiber towels. Both have their pros and cons but more and more people are preferring microfiber cloths because they do the job satisfactorily well, are easier to maintain, and are definitely less expensive. Read here to learn all about towel for drying car and which are the best car drying towels to use. One special service you can avail is mobile car detailing. Aptly named, this type of car detailing is always on the move. If you don’t feel like going to the local auto shop, just pick up the phone and call a detailer to go to your house. Since it’s super convenient, mobile detailing is also a great business to put up. This way, you don’t need a huge space for a shop. A few vans would be enough to have an up and running successful business since it can take your detailers wherever your clients are. Plus, it can also house your various cleaning and detailing supplies. When thinking of getting a service like this, it’s best to ask around first. Unlike auto shops where you can visit and check out how they do their detailing, calling a mobile detailing service can be nerve-wracking. You can ask your friends for referrals to ease your worry. Or, inquire your local car detail shop near you. They might just have home services ready for you. You can even go online and search on internet forums for the best one near you. A little research beforehand can ensure a better experience. For the comfort and convenience you’re getting, that’s a good trade-off. When you’re talking about car care, it’s not just the paint you have to be worried about. Rust is an enemy that you won’t be able to escape from. From the moment you drive your car out of the dealership, rust is all but forming. It’s just a matter of time before the rust become apparent and corrosion and rust will not only make your ride less appealing but also will spread the damage if not stop! The reason we cannot escape from corrosion because it does not take a lot to form rust. All you need is for water, oxygen, and iron to react and boom! iron oxide (a.k.a as rust) is formed. Good thing auto companies have done a lot of researching throughout the years to formulate a solution that protects against corrosion and the damages it can do. In recent years, the product like rust inhibitors and rust converters has become more mainstream. These products are made up of quality chemicals that can give your ride maximum protection from corrosion and stop rust exceptionally well! You can even choose from different brands and DIY rust proofing yourself. The good thing is all the famous rust inhibitors and rust converters are readily available at the online store like Amazon and Autozone. So, whether you are rust proofing car underbody or exterior or even any metal tools, you can find the products which will fit your specific needs in Amazon. Read this article to learn more about auto rustproofing and why rustproofing your vehicles is important especially you are living in a winter country. Cleaning your carpet is part of many full packages. But it’s also an easy step to do on your own. Unlike conditioning leather surfaces, getting your seats clean, and removing stink odor, carpet cleaning is simpler and easier. Before you vacuum, get rid of larger trash and dirt. Make sure to separate any important, small objects and loose change (you might need those later!). Take out the floor mats and give them a good shake outside your ride. This will help further remove dirt and crumbs. Using a handheld vacuum, start swiping it on top of your carpet from side to side. Don’t forget to reach out under hard to get areas, like the pedals and around the seat. If you find yourself being unfortunate to have spots and spills on your carpet, don’t worry. Just dab it with a small amount of cold water to dilute and hopefully remove it. But if that doesn’t work, you can always use a multi-purpose cleaner to the job. Looking for local auto detailing shops is easy nowadays, especially since there’s one every few blocks in a single neighborhood. Just a quick drive in your area will provide you with a lot of options already. You can also easily search for shops within your location by just clicking a few buttons on your computer. Just type in ‘car detailing near me’ in your preferred search engine and you can get your choices instantly. You can even check past customers’ reviews there already and gauge whether you want to try their service or not. A list of their packages can also be seen on most websites so you’ll be ready even before your appointment. Another advantage of conducting research first is that you get to know the estimated price you need to have your vehicle serviced. A complete car detail will bring your car to its best condition. It will also make sure that you can ride comfortably and your car always shine like new. Keeping your car in tip-top condition will help maintain or restore the value of your vehicles. This is especially true if you own an older or classic car, and thinking about selling it for a gain in the future. You simply cannot get the same results from a regular car wash, hence the need for a full detail. Also, a good detailer will bring your car to its original beauty and increase its resale value. Another benefit is the added protection against the elements like dust, dirt and more. When a wax coat is regularly applied to the car paint surface, it protects the finish from contamination, scratches, oxidation and UV damage. As for the interior, dust and dirt are usually your main concern. Regular cleaning and maintenance on the seats, carpets and cockpit is a must in order to ride comfortably and aesthetically pleasing too. Since detailing is an incredibly thorough process, you can expect the detailer to meticulously assess every crevice of your car. A thorough check can allow the detailer to suggest customized solutions or detect possible problem sooner to save you from experiencing car break down halfway on the road. Car detailing prices vary from location to location, so it’s hard to put a general estimate on what the final price of a detailing service should be. According to this article, the size of your vehicle is a major factor in determining car detailing prices. If you intend to run a business, when creating an auto detailing price list, it’s a good idea to first know the cost of supplies in your area as these will factor in greatly. A mobile car wash price list would also differ from an auto shop’s because you’d have to take into consideration your unique expenses, like gasoline, traveling cost and other operating costs. We’ve done our research and here is an auto detailing price list for packages that we compiled to guide you. However, it is good to note that these prices are only rough estimates and it will still be best to contact your own local detailing shop to be sure. Now, let’s have a look at the pricing below. For this list, three states have been chosen (California, Arizona, and Texas) and prices are taken from some of the more well-known auto shops in those areas. Feel free to compare the prices below and take some inspiration in creating your own. Another thing that they will appreciate is a loyalty rewards program. You can give discounts and freebies to entice customers to come back to your business. You can also join discount groups and give Groupon car wash deals to your customers. This is a great sales strategy as well as an advertising one. You can even give seasonal gift cards for special occasions, like Father’s Day or Christmas. Whatever you do, the best way to determine your pricing and how to go about your whole business is to learn from your possible competitors. See what they’re doing correct and innovate it better. See areas where they’re lacking and improve on that. Now that you’ve decided to get your car detailed, and you know roughly how much it’s going to cost you, you will need to do some research to figure out where to take your car. Frankly speaking, the quality and experience of the detailer do determine the final outcome. You will also want to find out the different packages the detailer is offering and whether they provide services your car needs. Don’t be shy to ask questions about their services. Usually, from the conversation, you’ll be able to find out if the detailer is right for you.